You will not believe these spring-cleaning tips from TODAY contributor and lifestyle expert Elizabeth Mayhew, who’s showing how to get your kitchen and bathroom sparkling with easy items you already have around the house! Your dirty kitchen sink has more bacteria than your toilet seat! To disinfect, clean your sink with soap and water first. Spray a mist of vinegar followed by a mist of hydrogen peroxide,and let air-dry. Don’t mix the vinegar and hydrogen peroxide together —spray one after the other. If your sink is stainless steel, make it sparkle afterward by putting a few drops of mineral oil on a soft cloth and buffing. Sponges can be a breeding ground for bacteria. Disinfect your sponge every night by running it through your dishwasher with your nightly load. When it’s shredded and smelly, replace it. To get rid of odors, run it with a cut-up lemon, some salt and a few ice cubes. The lemon deodorizes, and the ice and salt clean away residue. Once a week, shake baking soda on a damp sponge and wipe around the machine’s edges to remove stuck-on food or stains. To clean the inside, run an empty cycle with Dishwasher Magic, a product designed to kill bacteria like E.Coli. Pull out all contents and toss anything past its prime. Wipe down and deodorize shelves with a solution of warm water and baking soda (1 tablespoon of baking soda mixed with 1 quart warm water). Pull refrigerator away from the wall and vacuum dust and dirt. 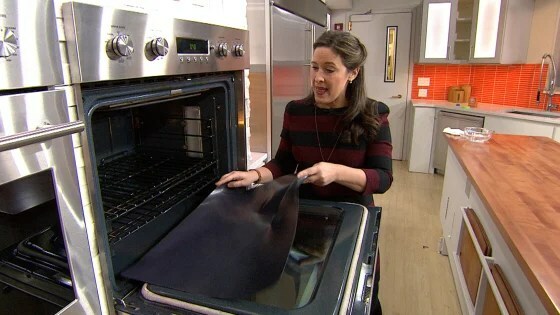 Cut down on the need to frequently clean your oven by lining the bottom with a nonstick oven liner. It can be wiped with a paper towel, put in the dishwasher and reused over and over. Keeping the interior range top burners and reflectors clean, you can save up to 10 percent by redirecting heat more efficiently, warming food faster and more evenly. 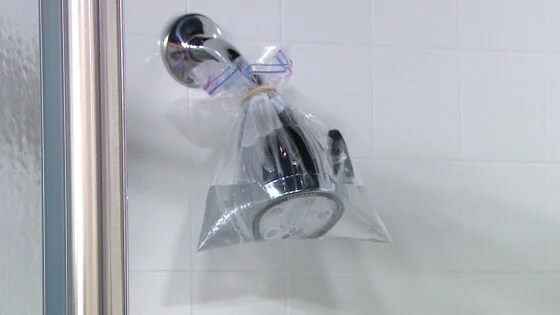 Pour white vinegar into a sturdy plastic bag big enough to submerge the shower head. Using a rubber band, secure it and let it soak overnight. Remove the bag and run the shower to rinse. This process removes calcium deposits as well as any lingering bacteria. Start by making a paste of baking soda and distilled white vinegar (1 cup to a few drops) and rub it over the door. You can clean the track by wrapping some fine steel wool around an old toothbrush and rubbing it back and forth to loosen any grime or mildew. Let paste sit for an hour and then wipe clean with a microfiber cloth. Rinse off and buff dry with a clean, dry microfiber cloth. A closed-loop microfiber cloth is a super-soft textile with great absorption power and water because the scrubbing action and absorption grab mildew from grout. Pour 1/2 cup baking soda down the drain, then follow it with 1/2 cup vinegar. Cover it with a wet cloth, wait 5 minutes, uncover and flush with steaming-hot water. Run plastic shower curtains through the washing machine with a bit of detergent and some old towels (they will act as scrubbers to get rid of soap scum and mildew). Hang to dry. Drop a teaspoon of Tang drink mix in the bowl. The citric acid acts like a scrubber. Best of all, it’s non-toxic. Let it sit for a few minutes, then swish and flush. When is the last time you went in an culled your book collection? 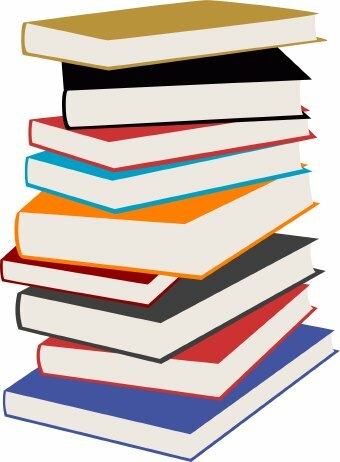 Not only will you feel good about decluttering, you will also do something green, because you can always donate books. Most libraries have a book donation area. These will either stay at the local library or go to underprivileged areas. If you can’t stand the idea of losing a book, you can also do a swap! Get some of your nerd friends together and trade off! Set up a meet up and off you go.